On steep sandstone bluffs, above the north banks of the Rio Grande River, sits the town of Roma, Texas. This community close to the border of the United States and Mexico was once on the interior northern frontier of Spain’s empire, and its distinct architecture reflects the mixing of Hispanic and Euro-American cultures along the Rio Grande during the 19th century. Far from the central governments of Mexico and the United States, Roma is a culturally rich Hispanic community that has supported generation-to-generation family continuity. Not a typical border town settlement, Roma is distinctive for its historic high-walled, gated, family compounds that reflect strong ties to 18th century northern Mexico, which was then part of the Spanish Empire. The planning, colonization and land grant system was the brainchild of Jose de Escandón and focused on civil development. Today, Roma is the only American Spanish colonial settlement that preserves the character of Escandón’s town planning, a strong reminder of the strength of American Latino contributions to the heritage of the United States and a source of pride for many Hispanic Americans. The community is directly across the river from Ciudad Miguel Alemán, Mexico. The Roma Historic District, a National Historic Landmark district in the City of Roma, contains architecture influenced by Spanish colonial culture and by the bustling 19th century Rio Grande trade route that brought goods and people from the Gulf of Mexico to the continent’s interior. The Roma Historic District contains the best and most intact collection of ethnically diverse buildings and structures in the border region. Once an important port on the Rio Grande, it now hosts a modern U.S. Customs and Border Protection Station and Port of Entry at the Roma/Miguel Aleman International Bridge. The site of Roma was part of the Mexican town of Mier about 10 miles northwest of modern Roma, in what was New Spain’s Nuevo Santander. Don José de Escandón founded the Spanish colonial province of Nuevo Santander in the mid-18th century. Spanish colonists from Mexico settled Mier in the 1750s and received land grants along the Rio Grande, where they formed family ranches. In the 1760s, the Spanish colonial government granted two tracts on the northern side of the river to the Salinas and Sáenz families, who were among the founding families of Mier and whose descendents still reside in Roma. The tracts they received were the first permanent European settlements at the Roma site. Soon after the Mexican War for Independence ended in 1821, Roma became an independent community. One of the earliest records of Roma is in American colonist Stephen F. Austin’s chart of Texas, which literally put Roma on the map. In the 1830s, trade increased along the Rio Grande and Roma became an important port. Shallow-draft keelboats that carried goods east to the Gulf of Mexico docked at Roma’s historic Wharf Site. During the politically unstable years surrounding the Mexican-American War that ended with Roma belonging to the United States, the town became a popular distribution center on the Rio Grande trade route. In the 1840s, steam-powered ships brought goods from the Gulf and Roma grew dramatically. After the war, Euro-American entrepreneurs settled in Roma, Texas, and married into the founding families. The new, bi-national Rio Grande community of the 1850s promoted a thriving border economy and culture. 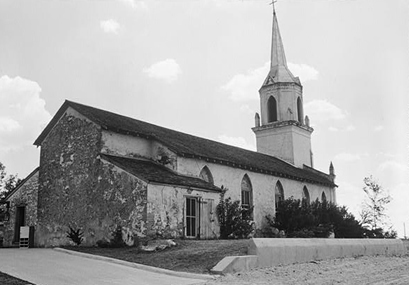 In 1853, French missionaries moved to Roma to establish Our Lady of Refuge Catholic Church, which is located at the north end of the Roma Plaza near the historic Mission Church. 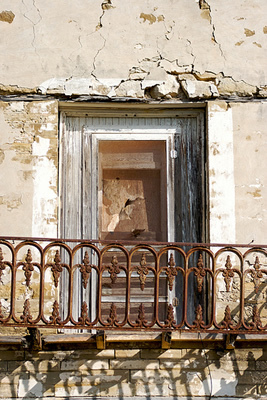 Trade with New Orleans also brought the Louisiana city’s distinctive wrought-iron adornments to Roma buildings. Legal traders and black-market smugglers took advantage of the tariff-free American goods on the north side of the border. In response, Tamaulipas, the Mexican state south of Roma, established a free trade zone in 1858 and customs houses along its northern border to encourage trade in Mexico. 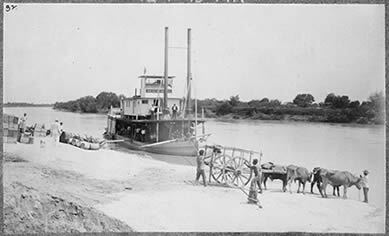 During the Civil War, Confederate traders used the Rio Grande to avoid Union blockades that formed at sea ports in the East. Cotton bound for Europe passed through Roma on its way to the Gulf of Mexico. Roma resident Noah Cox, an American merchant married to a woman from the prominent García family, led a Confederate militia to protect the rebellion’s trade interests along the southern Texas border. Trade slowed at Roma after the American railroads bypassed the town in the 1880s. Freight trains replaced the booming mid-century river trade, but rail travel did not end the international exchange. The town’s proximity to Mexico ensured that it remained a trade, culture, and immigration hub between Mexico and the United States. In the late 19th century, Roma became known for its Lower Rio Grande stone and brickwork architecture. From the early years of Spanish colonization, the region’s settlers used sandstone and brick in construction. Most of the bricklayers and masons were immigrants from Mexico. Commercial brick production in Roma and innovative designs influenced later building construction. German immigrant and master-builder Enrique (Heinrich) Portscheller settled in the region in 1865, married a Mier woman, and eventually moved to Roma. Portscheller added to the beauty of the local building techniques with his trademark decorative molded brick and use of New Orleans-type wrought-iron balconies. In addition to his work in Roma, Portscheller designed buildings in the border towns of Mier, Rio Grande City, and Laredo. Though there are other towns where this type of brickwork endures, Roma sustains the highest level of density, integrity, and quality in its 19th century Rio Grande brick and stone craftsmanship. The Roma Historic District contains 38 historic properties. Of the 35 historic buildings, 3 are public-commercial buildings from the late 19th century, 16 are stone buildings that predate the 1870s, and 19 are late-19th century brick buildings. The other historic properties include the Convento Avenue (Roma Plaza), Wharf Site, and the Roma-Miguel Alemán Steel Suspension Bridge. Four areas make up the historic district: the Plaza Area, Wharf Area, Customs House Area, and Northwestern Zone. The Roma Plaza Area is a rectangular public square that runs northeast perpendicular from the Rio Grande to the Our Lady of Refuge Catholic Church. Estrella and Portscheller streets intersect the Plaza. The 19th century Roma elite, including the Vale-García, Cox, Ramírez, Guerra, and Sáenz families, built walled compounds around the open plaza. The earliest historic building in the district is the Mission Church that Catholic priests founded in 1829. The Our Lady of Refuge Church constructed in 1853 has only the tower left from that era. The other 17 stone and brick buildings in the Plaza Area date from between the 1830s and the 1890s. Portscheller built five Plaza Area buildings, including the Manuel Guerra Residence and Store (702 Hidalgo Street), Antonia Sáenz House, Tino Ramírez Residence and Store (701 Hidalgo Street), Raphael García Ramírez House (NE corner of Convent and Hidalgo) and the Old Roma Convent. The Wharf Area includes seven historic buildings, the Wharf Site, and the Roma-Miguel Alemán Steel Suspension Bridge. Located on the riverbank south of the Plaza Area and west of Juarez Ave, the Wharf property is where Rio Grande travelers docked their keelboats and steamboats in the mid-19th century. The city’s center of trade, the Wharf Area, contains historic warehouses and stores, including the Rodriguez House/Warehouse (NE corner of Hidalgo and Juarez Streets) and Portscheller-built Nester Sáenz Store (SE corner, Hidalgo and Juarez Streets). The Suspension Bridge, built in 1929, is the last surviving international suspension bridge on the Rio Grande. The bridge is 700 feet long and 16 feet wide, and has twin steel towers grounded in concrete piers at each end. It still connects Roma, Texas to Ciudad Miguel Alemán, Tamaulipas, Mexico but is unable to carry heavy loads. A modern bridge runs parallel to accommodate the demands of border traffic. The Customs House Area is a concentration of 10 stone and brick buildings between Estrella and Water streets, which takes its name from its historic 1883 U.S. Customs House/City Hall/Jail(101 Calle del Rio (Water Street)). It is a one-story, flat-roofed brick building that sits on the highest point of Roma’s sandstone bluffs overlooking the river. The Portscheller-built Pablo Ramírez House/13th Cavalry Branch Headquarters/Knights of Columbus Hall (901 Estrella Street) compound on the southwest corner of Zaragoza and Estrella streets is also part of the Customs House Area. Eight additional domestic and commercial historic buildings built between the 1840s and ‘90s define this area. The Northwestern Zone is historically significant for its location and topographical feature. This area contains a small arroyo connected to the Arroyo de los Negros, which was the site of a 19th century ferry crossing. No buildings or features in this area are part of the historic district, though they relate to the City of Roma’s historic core. 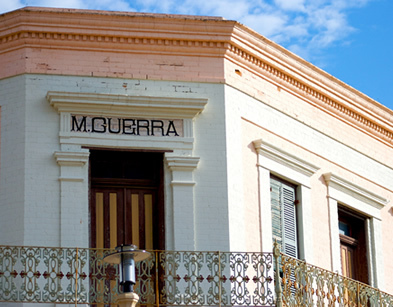 The Roma Historic District’s 19th century brick and stone craftsmanship makes the town a significant stop on any tour of Hispanic architecture in the Lower Rio Grande Valley. The town’s walled family compounds recall Roma’s Spanish heritage, and the stone and brick techniques are native to the region. Visitors can take a self-guided driving or walking tour around the district to see the 38 historic properties. The historic plaza offers parking. The Roma Historical Museum in the old Mission Church and the Roma Historic District Visitor Station in the Plaza provide opportunities to learn more about the area’s history. The Museum of South Texas History offers information about the region. This museum is an hour’s drive east of Roma, in Edinburg, Texas. At the western edge of town, the U.S. Fish & Wildlife Service maintains the public Roma Bluffs World Birding Center, part of the Lower Rio Grande Valley National Wildlife Refuge. The Roma Historic District, a National Historic Landmark, includes properties along Estrella and Hidalgo Sts. between Garfield St. and Bravo Alley in Roma, TX. (U.S. 83). Click here for the National Historic Landmark file: text and photos. The Roma Historical Museum, located at 200 Lincoln, is open 9:00am to 4:00pm Monday-Friday. The Roma Historic District Visitor Station is located at 77 Convent Ave. on the plaza. For more information, visit the Roma Historical Museum Association website or call 210-849-3142. Roma Historic District is also featured in the National Park Service South and West Texas Travel Itinerary. Several buildings within the district have been recorded by the National Park Service’s Historic American Buildings Survey: Leocadia Leandro Garcia House, Rafael Garcia Ramirez House, Church of our Lady of Refuge of Sinners, Manuel Guerra Residence & Store, and Nextor Saens Store.